The Critics’ Choice Awards featured some truly memorable wins on Sunday, but none more so than the adorable moment when John Krasinski and Emily Blunt got onstage to accept the award for their sci-fi/horror film, A Quiet Place. 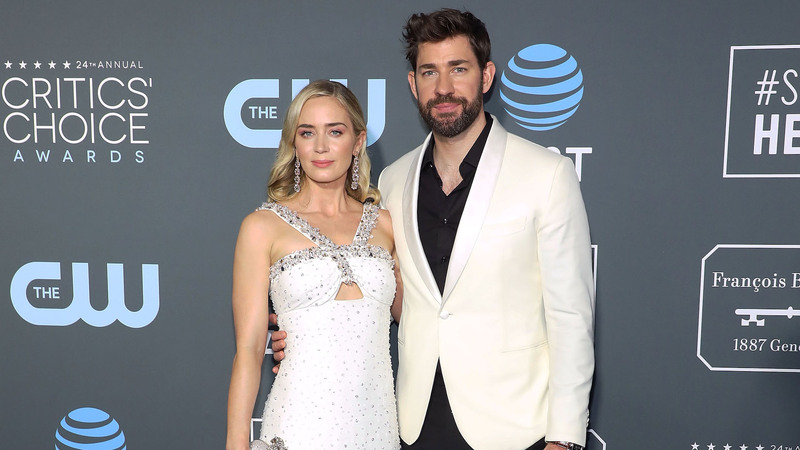 With his wife and costar standing beside him, Krasinski — who wrote, directed and starred in the movie — took the opportunity to gush about Blunt. Aww. After this adorable speech, Krasinski made a beeline for Blunt and the two embraced onstage in the sweetest way. A Quiet Place has been nominated for a number of awards since it came out last spring, though last night was the film’s first win, and the celebration seemed especially important for Krasinski and Blunt given the personal nature of the film for both of them. Krasinski and Blunt have two children together: Hazel, 4, and Violet, 2. Krasinski has been vocal about being a dad, and he also rearranges his work life to accommodate being a family man. Although he and Blunt had never acted together prior to A Quiet Place, which has a sequel in the works, he’s often said she’s the key to his success.